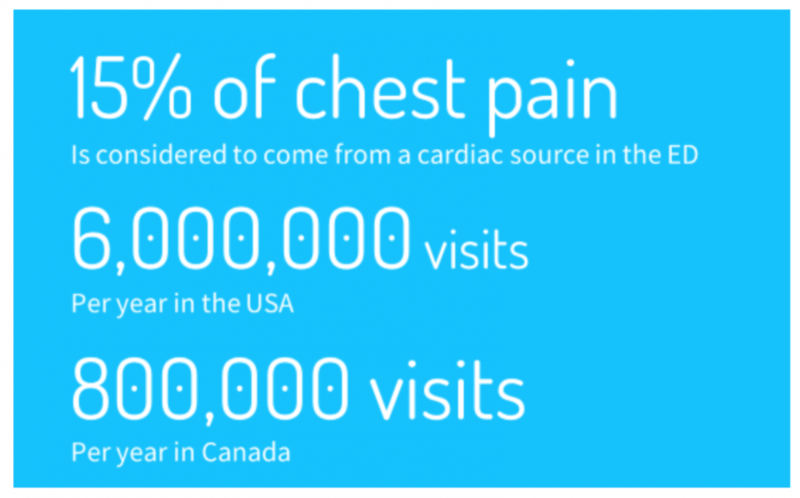 Chest pain is a common presenting complaint to Emergency Departments (ED) worldwide. Massive resource investment is required to differentiate benign from sinister causes of chest pain, and for the treatment, referral, and risk stratification of chest pain patients. A cardiac etiology of chest pain is found in roughly 15% of those presenting to EDs. Emergency Physicians use a combination of history, physical, ECG, and biochemical markers of cardiac injury to diagnose acute coronary syndromes (STEMI, NSTEMI, and unstable angina). The biomarkers used to diagnose acute coronary syndrome have evolved greatly over the last 50 years, changing from relatively non-specific biomarkers such as AST, LDH, myoglobin, Creatine Kinase (CK), and CK-MB, to the very sensitive and specific cardiac troponin assays. As healthcare spending continues to rise it becomes increasingly necessary to critically appraise the utility of routine testing practices. For example, does your institution order chest pain “Bundles”? Every chest pain patient presenting to our institution gets a total creatine kinase and a troponin ordered at least once. Does the creatine kinase change our ability to diagnose and manage ACS in the ED? Physiology of Troponin and Creatine Kinase: simplified for emergency medicine brains! There are different flavours of troponin (I, C and T) and they modulate the calcium-mediated interaction between actin and myosin in skeletal and cardiac muscle tissue. Briefly, a nerve impulse causes calcium to be released in muscle cells of the heart. This calcium binds the Troponin subunit which is bound to tropomyosin. This causes a physical change in the tropomyosin and allows myosin to bind actin; the resulting interaction leads to muscle contraction. The action of myosin requires ATP, therefore, energy released from ATP powers muscle contraction. Creatine Kinase’s role is to replenish ATP stores, converting ADP back into ATP via conversion of phosphocreatine to creatine. So, we can see that creatine kinase and troponin are intimately related to muscle contraction. The unique cardiac specific troponin I (cTnI) and cardiac troponin T (cTnT) can be detected by blood tests. There are also different types of creatine kinase such as CK-muscle and CK-brain that we historically measured. These assays are no longer available to us; our hospital currently measures total CK –which is expressed in all sorts of muscle types in the body, decreasing specificity and utility. HAVE YOU EVER BEEN TO CROSSFIT? 1. Do the European Society of Cardiology (ESC), American College of Cardiology (ACC), or American Heart Association (AHA) recommend ordering both troponin and CK when considering the diagnosis of ACS? Cardiac troponins are more sensitive and specific markers of cardiomyocyte injury than creatine kinase (CK), its MB isoenzyme (CK-MB), and myoglobin. 2. Does Creatine Kinase rise earlier than Troponin? Local data suggests that our institution orders approximately 92,000 troponins a year across two hospital sites, and roughly 87,000 concurrent CK assays. That’s ~ 87,000 tests that are of dubious value. Imagine that CK was useful and it could help tell us where the infarct occurred and how much damage was done. Imagine a chart that said for a given value of CK there would be a certain reduction of LV function. That would be useful right? We can continue this logic… imagine the following 2 patients who present with 5 hours of chest pain and ECGs that are not indicative of STEMI. Do these numbers change our ultimate medical management or disposition in the ED? Well, Patient 1 gets medical management and Patient 2 gets PCI right? NO, we treat the patient in front of us. The downstream investigations and therapies are tailored on a case-by-case basis. Troponin is a more sensitive and specific biomarker. It also tells you about infarct size! What about a discordant biomarker? E.g. A patient where the CK came back positive and the troponin came back negative. CK is 4x larger than a troponin molecule. Why then would it ever leak out of an ischaemic cell when troponin does not? Stay tuned for a systematic review on discordant biomarkers! Christenson, R H; Newby, L K; Ohman, E. M. (1997). Cardiac markers in the assessment of acute coronary syndromes. Baltimore: Maryland medical Journal. Jesse, E., & Vickie, A. (1998). Cardiac biomarkers : Past , present , and future. Lim, J. Hawkins, R.C., Ng, K. Chan, S.P., Cheng, A. NG, K. S. (2002). A Preliminary Study of the utility of combined cardiac markers in the evaluation of patients presenting early with suspected acute coronary syndrome. Annals of Academic Medicine Singapore, 31, 772–6. Mair, J., Morandell, D., Genser, N., Lechleitner, P., Dienstl, F., & Puschendorf, B. (1995). Equivalent early sensitivities of myoglobin, creatine kinase MB mass, creatine kinase isoform ratios, and cardiac troponins I and T for acute myocardial infarction. Clinical Chemistry, 41(9), 1266–1272. Newby, L. K., Storrow, A. B., Gibler, W. B., Garvey, J. L., Tucker, J. F., Kaplan, A. L., … Ohman, E. M. (2001). Clinical Investigation and Reports Bedside Multimarker Testing for Risk Stratification in. Circulation, 1832–1837. Panteghini, M., Cuccia, C., Bonetti, G., Giubbini, R., Pagani, F., & Bonini, E. (2002). Single-point cardiac troponin T at coronary care unit discharge after myocardial infarction correlates with infarct size and ejection fraction. Clinical Chemistry, 48(9), 1432–1436. Wu, Apple, Gibler, Jesse, Warshaw, and Valdes, JrBiochemistry, N. A. of C. (1998). Recommendations for the Use of Cardiac Markers In Coronary Artery Diseases: NACB. Chicago, IL. 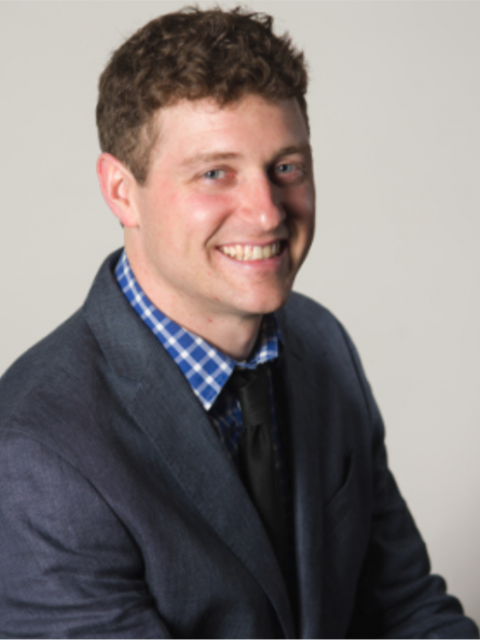 Dr. Daniel Beamish is a 4th year Emergency Medicine Resident at the University of Ottawa whose interests include travelling, hockey, and surfing.